“This horrible tragedy has ignited a national conversation about our nation’s immigration enforcement policies,” Archbishop Salvatore J. Cordileone said July 21. “While it is important that we learn from this incident and work to prevent it from happening again, it is also important that we recognize that the vast majority of immigrants — both those with and without papers — are not a violent threat to society and so should not be subject to guilt by association,” he said. “In fact, statistics show that immigrant communities are by and large safe and that a cooperative relationship between law enforcement and those communities enhances public safety and reduces crime,” he said. Archbishop Cordileone made the comments in a written statement to the Senate Judiciary Committee, which held a hearing on immigration enforcement policies prompted by the shooting death of 32-year-old Kathryn Steinle, who was felled by a bullet July 1 as she and her father walked along Pier 14 in San Francisco. Juan Francisco Lopez-Sanchez, 45, who has multiple felony convictions and had been deported from the United States five times back to his native Mexico, was arrested and charged in her death. He entered a plea of not guilty. He has admitted to shooting a gun he found at the pier but said he fired at random and did not know any of the bullets had hit someone. 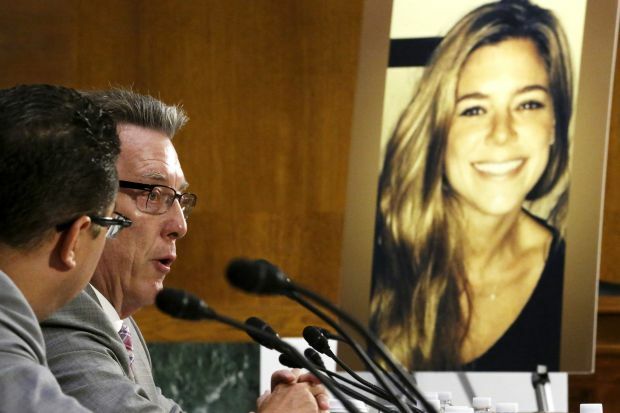 At the packed hearing, which included testimony from Steinle’s father, Jim, some Republican senators called for cutting off federal funds to U.S. cities that have sanctuary policies aimed at protecting residents regardless of immigration status. Critics of such policies claim that because San Francisco is a “sanctuary city,” local law enforcement was prevented from alerting U.S. Immigration and Customs Enforcement when Lopez-Sanchez was released from jail in April. He was being held on a drug-related warrant but was freed when no charges were filed. Lopez-Sanchez had served several years in federal prison for felony re-entry after deportation when he was released in March into the custody of ICE. According to CNN, ICE then turned him over to San Francisco authorities because of the drug-related warrant. The federal agency asked that it be informed if Lopez-Sanchez were released, but no notice was given to ICE. “However, they should avoid the implementation of policies that punish all immigrants for the transgressions of a small minority,” he added. Wish the Catholic church would care as much about the lives of legal citizens as much as they do illegal. Its always about what we need to do not responsibilities of those coming over. I recognize the Church needs the illegal immigrants to expand a dying growth in the Church, its just disheartening to see a Church be so divisive in the name of Unity.